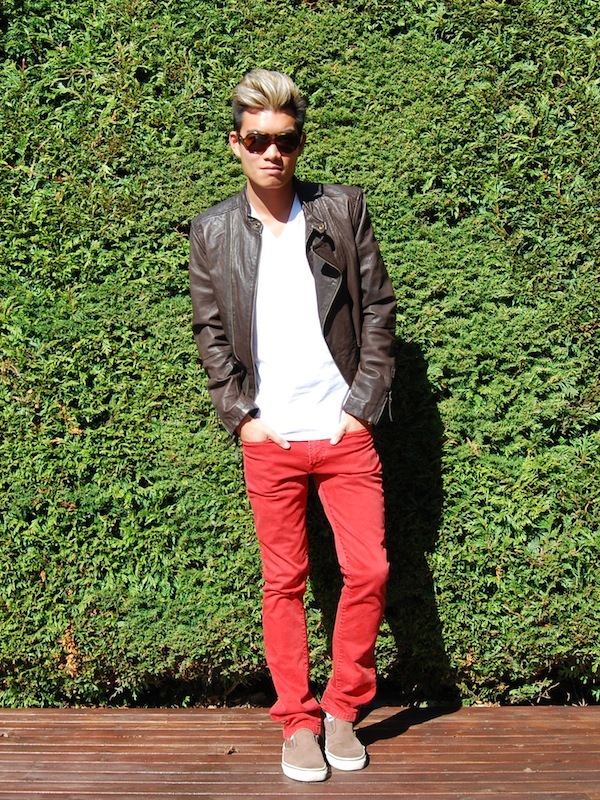 Return of the red jeans and leather jacket! I was getting bored of red jeans for a while and after putting mine on a wardrobe hiatus, they are back. Today also marks the first wear of my leather jacket this season. 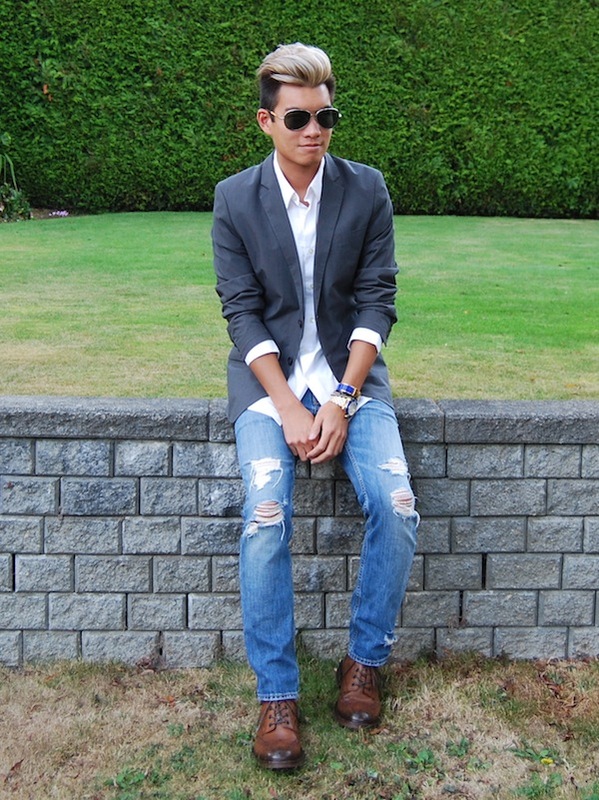 Gucci sunglasses, Monarchy jacket, Gap T-shirt, Zara jeans, Glam Rock watch, Sperry sneakers. Back to grey and white today. A light relaxed look. The comfort of a sweatshirt with the cut of a blazer is a great mix! 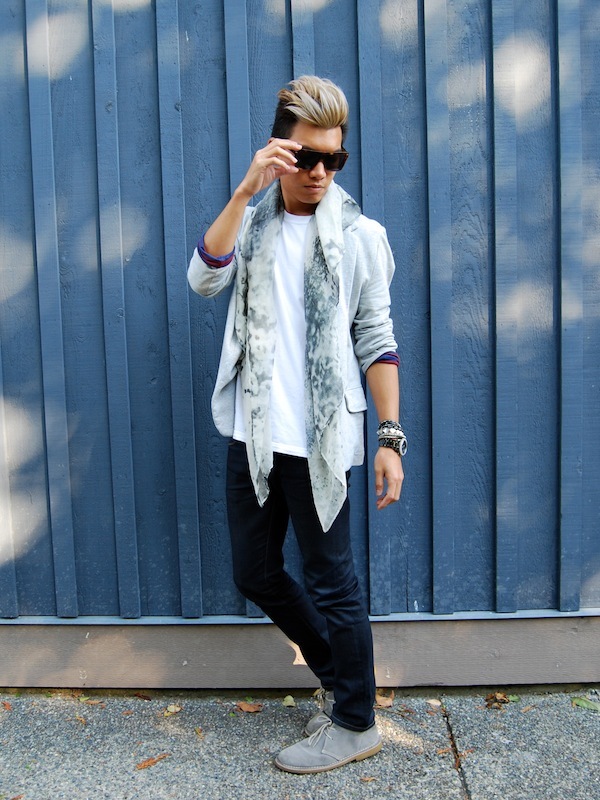 Rock & Republic sunglasses, Zara scarf, Topman jersey blazer, UNIQLO T-shirt, Express jeans, ALDO shoes, Bianci watch, JVA wrap bracelet, k2o by Karen Ko bracelets. Red Plaid Lad. Thereâ€™s something so autumnal about red plaid and today, I got into the fall spirit, also bringing out a light knit snood (aka circle scarf). Ralph Lauren sunglasses, Monk & Lou scarf, Uniqlo shirt and t-shirt, Express jeans, Glam Rock watch, Smith & Kane bracelet, Sperry boat shoes. 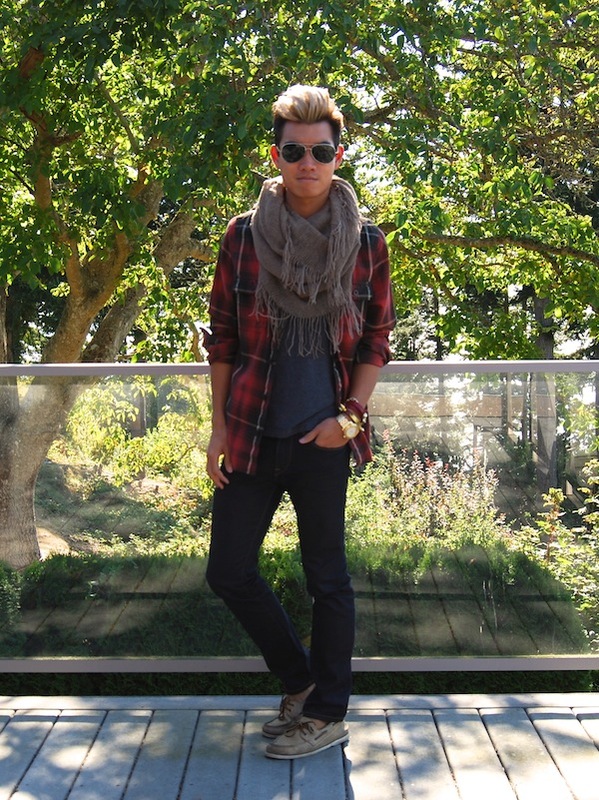 Todayâ€™s look is transitional; that halfway between summer and fall. Bringing some earth tones into the picture, but keeping it light with salmon. 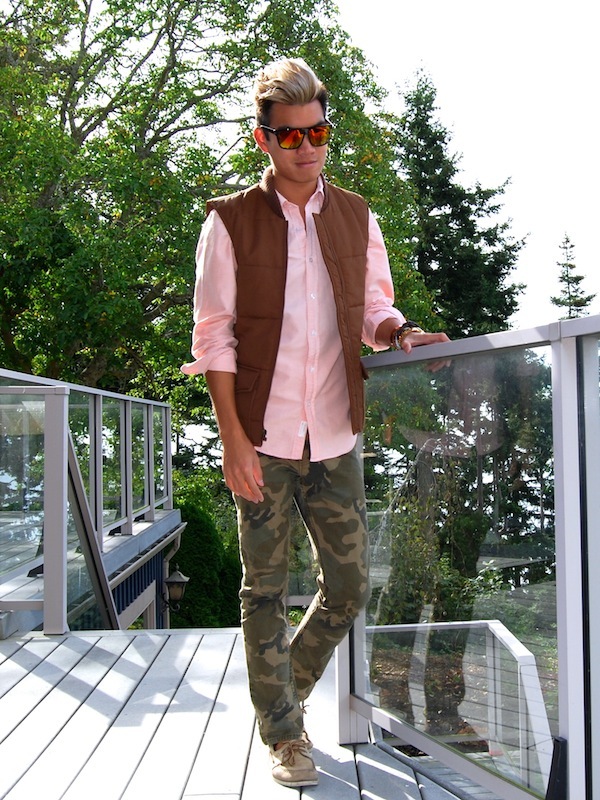 No name sunglasses, Lucky Brand vest, J. Crew shirt, Bullhead pants, Sperry shoes, Glam Rock Watch.